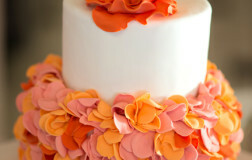 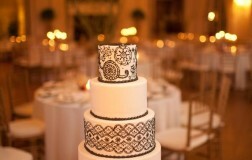 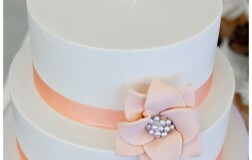 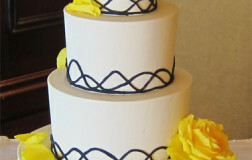 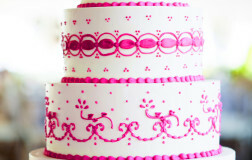 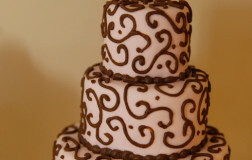 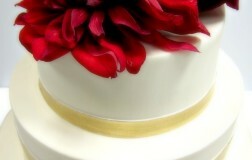 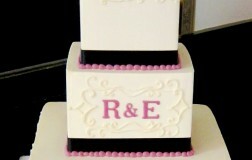 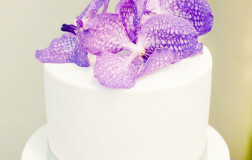 Look at the detailing done on this cake! 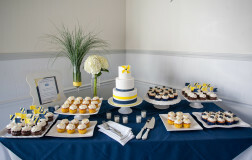 It is hard to see each guest was also given their own mini wedding cake to coordinate with the wedding theme. 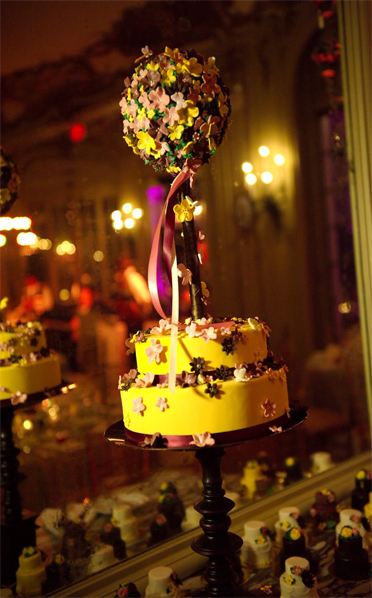 This was such a spectacular and unique presentation that was held at Astors’ Beechwood Mansion in Newport, RI. 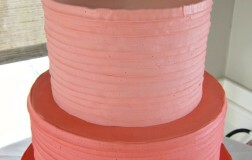 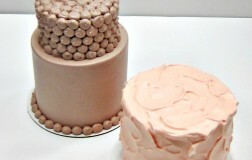 Two tier wedding cake finished in rolled fondant finish. 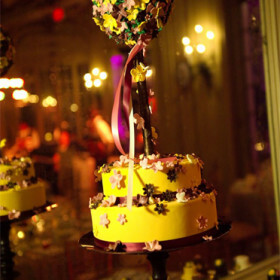 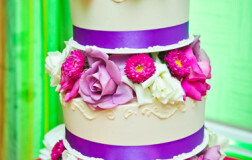 Flower accents are all handmade and edible. 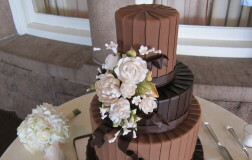 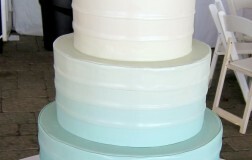 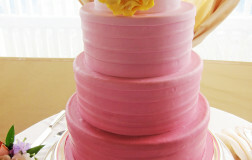 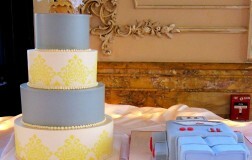 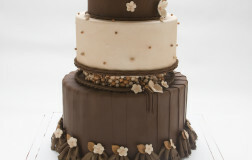 Mini two tier wedding cakes were made to coordinate with the wedding design. 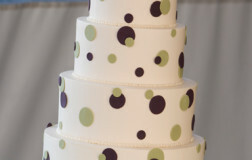 Be the first to review “Bold Statements 76” Click here to cancel reply. 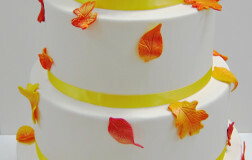 Fantastic detail and colors are used for leaves on this Autumn inspired wedding cake.